is an internationally recognized Cluster Development Expert and one of the leading experts in cluster development of the Republic of Bulgaria. Her company LIGNA GROUP deals with Contract Furniture and Hotel Refurbishment, works with more than 30 suppliers and currently has 28 employees. Together with her business partner Ms Anelia Kassabova during the past 10 years she has managed to position LIGNA among the top 50 leading companies in the economy of Bulgaria (ranking of Bulgarian Chamber of Commerce and Industry in 2013 for the fastest growing companies in the country). In 2010 Genoveva received the recognition Entrepreneur of the Year, during the Small and Medium Enterprises (SME) Week in Brussels – presentation of successful practices for entrepreneurship in the EU. 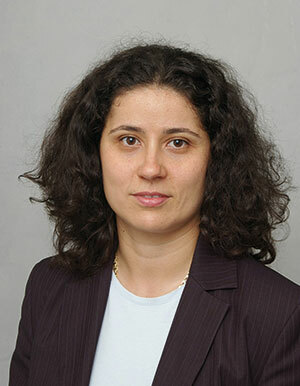 Genoveva Christova-Murray obtained a Master’s Degree in International Economics, covering International Trade, Entrepreneurship and Strategic Management in the University of National and World Economy – Sofia. Since 2005, Mrs. Christova-Murray has been actively involved in the cluster life in Bulgaria. She became the first elected president of one of the first pilot clusters in Bulgaria – Troyan Furniture Cluster. In 2006, Genoveva started her active international activity and has been involved in several projects for the development of SMEs in South-East Europe: Greece, Romania, Turkey and Serbia. She is one of the initiators of the Association of Business Clusters (ABC) established in Bulgaria in 2009. At present Mrs.Christova-Murray is a chairman of the Bulgarian furniture cluster, as well as Deputy Chairman of the Board of the Directors of the Association of Business Clusters (ABC) in charge of International Relations. Mrs. Christova-Murray participated in several national and international events, where she is often invited to present topics such as entrepreneurship, small and medium enterprises, clusters and cluster policies. Author of numerous studies and articles on competitiveness and cluster development.